It was once said that four thieves vinegar had the power to cure the plague. Whether or not this was the case (which I’m sure it most certainly was not) we can however recognize the amazing and often potent remedies growing right in our gardens. Even though I live in an apartment complex I still have powerful allies against cold and flu growing in a great big pot on my balcony. You see, you don’t need a large plot of land to enjoy the benefits of plants. A simple terra cotta pot with a few staples is all you need to stay healthy and strong when germs are circulating. Aside from supporting our immunity, many herbs taste wonderful and lucky for you; it’s those herbs I’m talking about today. We have all heard of the famous four thieves vinegar and its purported use during the Black Plague. The strong essences of several specific herbs were believed to have kept a few pilferers alive while they searched dead bodies and ransacked empty homes affected by the plague. Supposedly in those days, thieves weren’t given a second look if they were seen robbing the houses of plague victims. It was widely known in those days that whoever entered those houses or came into contact with the dead would be infected. Once authorities noticed that these men were seemingly untouched by sickness, they were arrested and sentenced. In a desperate attempt to bargain with the police and lighten their harsh punishment (hanged rather than burned alive), the thieves gave up their secret which we know today as four thieves vinegar. The thieves explained how they concocted their potent recipe and then douse it on the fabric they used to cover their faces and hands. Whether or not their secret rewarded them with a quick and less pleasant death is unknown. It is believed that the original formula consisted of rosemary, thyme, lavender, and clove but no one knows for sure. Renowned French aromatherapist Jean Valnet had a recipe for four thieves vinegar that contained wormwood, juniper, meadowsweet, marjoram, sage, cloves, angelica, horse heal, rosemary, camphor, and horehound. From what I know about herbs this mix sounds like it could knock over a cart horse, the cart horse being any type of nasty cold going around. Anything four thieves related is going to potent stuff! I have seen a ton of other variations that include mint, sweet orange peel, basil, thyme, cinnamon, eucalyptus, lemon, anise, hyssop… the list goes on and on. I say if it’s a garden herb, throw it in! Follow the preparation instructions above. 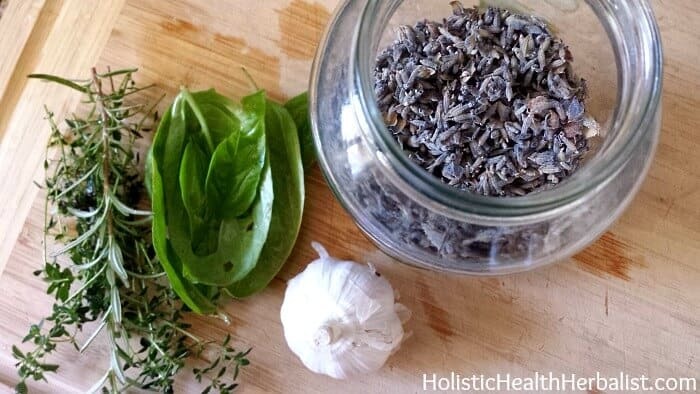 For a SUPER easy no fail recipe all you need is herbs de provence and raw apple cider vinegar. 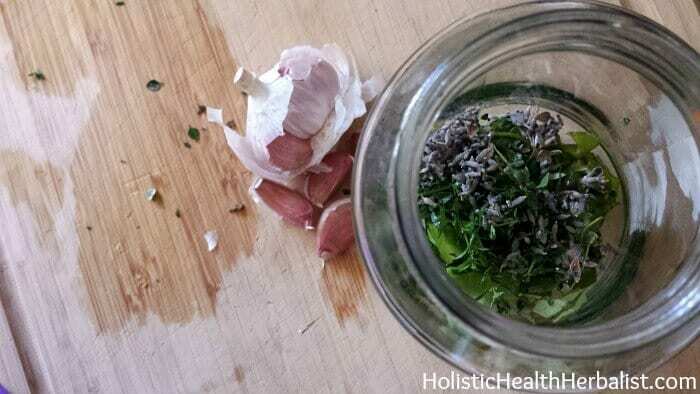 Mix 2 TB of herbs de provence with 2 cups of raw apple cider vinegar, let it sit for a week, strain, and viola! Thieves Essential Rewards Unboxing Video! Food and natural remedies are so cool. And this sounds delicious! Very cool! I want to make this soon! Thank you! These are all great variations – and so easy to make and use! This is so cool! What a great idea. I’ve never made this before but would love to.